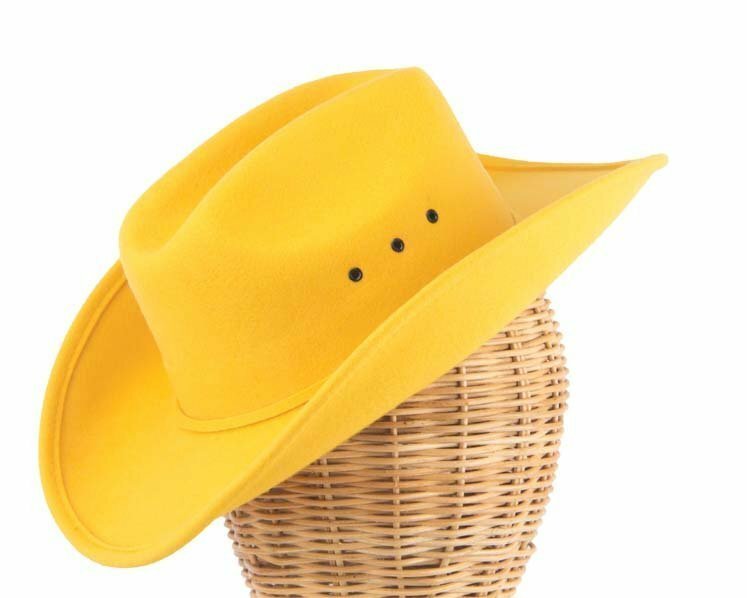 This elegant yellow cowboy hat is made from 100% wool felt and has wire in a brim to keep the shape. Available only in XSmall size (53-54cm). Buy girls western cowboy hats online in Australia and SAVE!